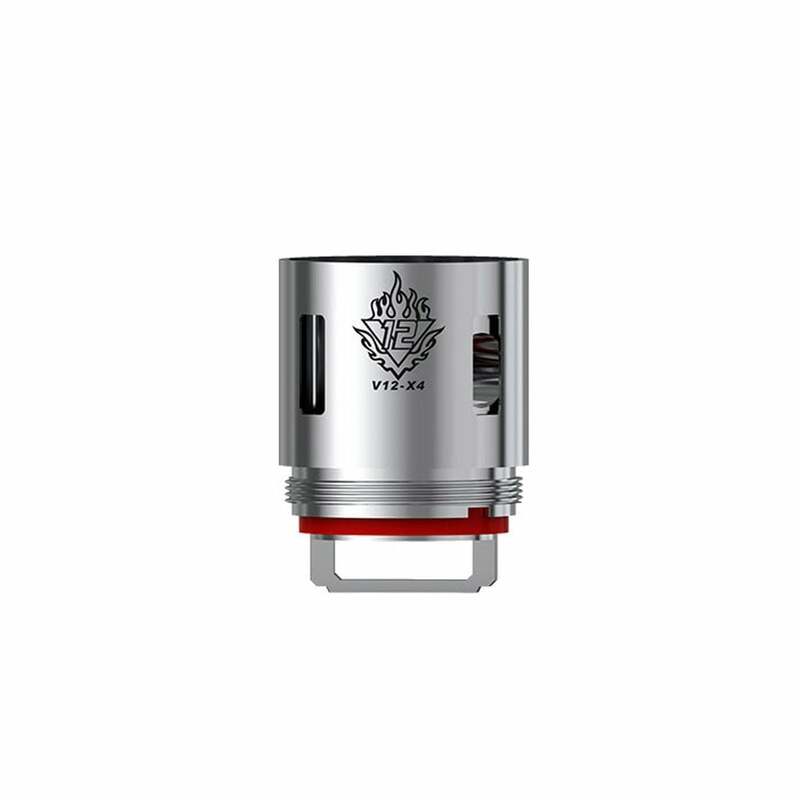 The V12-X4 coils are designed with Smok's revolutionary V12 Engine system allowing for more juice to be wicked into the cotton. This improves juice atomization giving fuller, smoother, and bigger cloud production. The quadruple coil, double barrel engineering of the V12-X4 coils gives a more flavorful vaping experience with thick clouds. Grab a pack and discover why Smok calls the V12 system "The King's Sword"; it cuts through the competition! These coils burn out so fast. My only real issue with them. Before they burn out though, the taste and clouds are great.